Saw a foursquare video at nokiadevforum and there were a bunch of other neat developer stories (of using Qt) so I thought I’d lump this all in to one post. Foursquare co-founder — and long-time Nokia fan — Naveen Selvadurai discusses the latest versions of the foursquare app for Nokia phones from Series 40 to the new Qt-powered Nokia N9. This fast-growing social location application, with more than 10 million users worldwide, allows individuals to learn more about the world around them, and to share the things they learn along the way. Recently, use of the app has expanded greatly in Asia and South America. Foursquare for Nokia Series 40 phones brings the service to people who are getting on to the Internet for the first time. The new Series 40 version of the app integrates Nokia Maps to deliver a richer, and more seamless mapping experience; and it includes an “Explore” feature to provide recommendations based on where the user goes, and where his/her friends go, too. 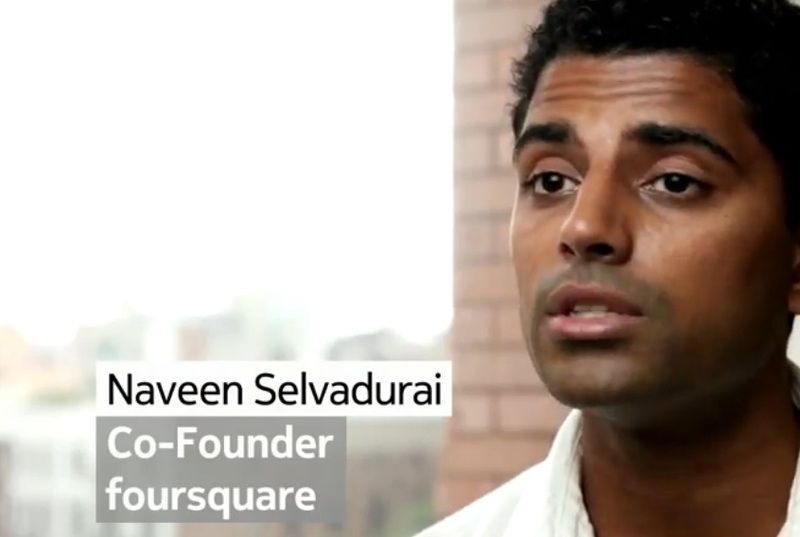 Selvadurai recognizes that developing a foursquare app for Nokia means reaching the needs of many different types of users on a broad range of phones. Collaborating with Nokia “allows us to reach an even wider audience all around the world,” says Selvadurai. Michael Samarin, Head of Mobile Development at Futurice, talks about the Nokia Trailers and Transformers 3 apps they developed using Qt and QML. Both apps were developed for Nokia’s new Symbian smartphones, and focus on tightly integrating a clean and intuitive user experience. Both apps are available for download in Nokia’s Ovi Store. Louis Gump, VP CNN Mobile at CNN, talks about the creation of the CNN app for Nokia phones. This app provides for not only headlines with in depth reports, but video content as well as enabling its users to provide news updates through CNN iReport. Development was undertaken with Qt SDK and Louis explains how it provides for quick, flexible, collaborative development that enables an iterative process that results in “yes, we got it” outcomes. Jeff Triner, mobile development manager at the AA; and Douglas Hoskins, lead developer at Future Platforms, talk about the creation of the AA Breakdown and Traffic app. This Symbian app enables drivers to call for assistance when they breakdown, but also use on a daily basis to obtain up to the minute traffic information among other features. Douglas explains how Qt made it easy to create the app. In particular, the Qt Mobility APIs enabled Douglas to easily add features such as tactile feedback and GPS location to the AA app. Mark Long, senior software developer at AccuWeather, Inc., talks about the creation of the AccuWeather application. Mark explains the advantages he found in creating the application using Qt Quick — in particular the speed at which he could create the app’s UI — and how the technology has enabled him and his team to focus on their app’s user experience. Ding Chen, product manager at Sina; GaoFei Wang, vice president at Sina; and Allen Chan, senior engineer at Accenture, talk about the new version of Sina’s Weibo application. This popular social network and media app has been designed for the Nokia N9 smartphone and built in Qt. When it came to the development, Allen explains that the app took four developers about two months to create, a process aided by the Qt Quick components. « Video: Introducing Symbian Anna.